This book gathers together fascinating and useful information on all the major laces made in Europe and colonies from the late 16th to early 20th centuries. In an organised text that is easy to read, it covers needlepoint bobbin laces, crochet, tatting, embroidered nets and other minor techniques, giving identifying characteristics with detailed photographs and diagrams and comparing one lace with another where there might be confusion Comparisons with machine laces help to distinguish hand from machine products. History and stylistic changes are also considered while use in dress is shown by portraits and fashion illustrations. 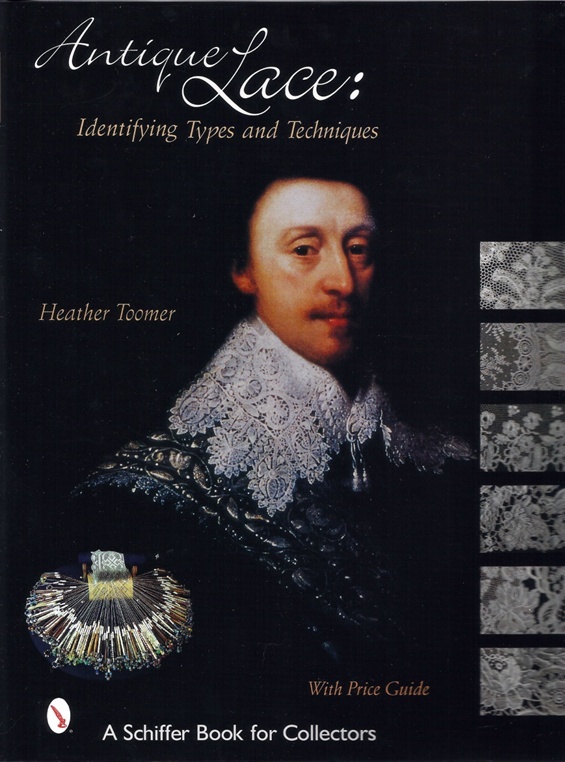 A glossary and notes on cleaning and conservation make this a useful reference work for lace makers, collectc and designers. Price: £39.75 post free within the United Kingdom. Please email me on htac2000@gmail.com about postal charges to other countries. Dear Heather, I have some old lace that I would like help with identifying. Are you available for consultation and if so where?